The Mary Mulvihill Association is an unincorporated Association established to honour the memory and work of Mary Mulvihill. The Honorary Patron is Brian Dolan. The Association is run in accordance with a Governing Instrument and the day-to-day affairs are managed by an Executive Committee. 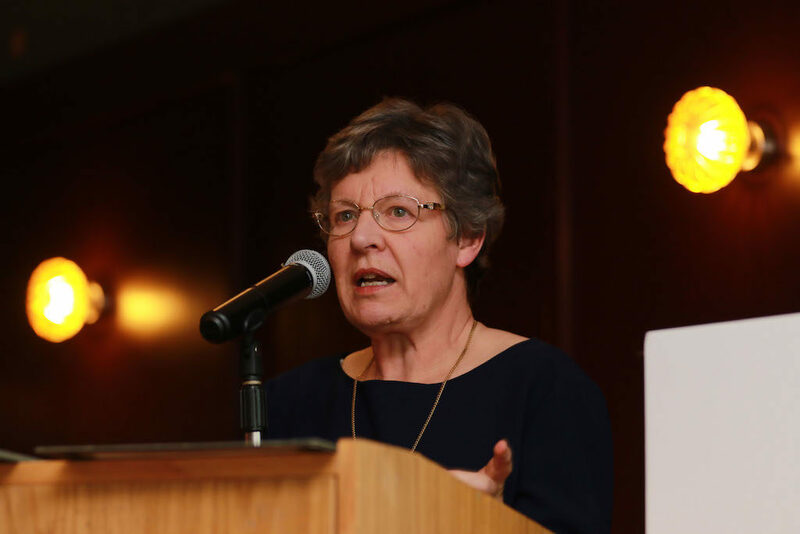 Jocelyn Bell Burnell Speaking at the 2018 Mary Mulvihill Awards Evening.